Home / Portfolio / Flagpoles Etc. Custom Store Home Page, Custom Logo, Invoice Logo, Listing Template, Profile Page. 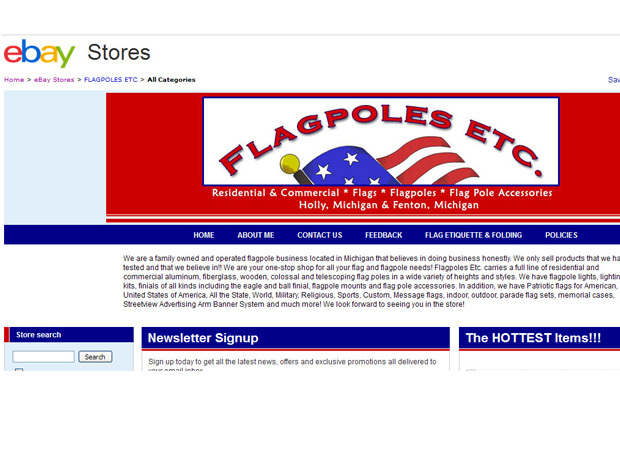 Brian manufacturers flags of all types and wanted a patriotic site using exisiting graphics from his website.